Our representative will receive you in Delhi and then proceed to Nanital, where you shall be checked in at a hotel. 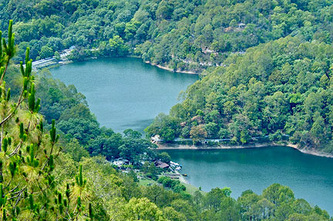 Nainital is a town in the Indian state of Uttarakhand and headquarters of Nainital district in the Kumaon foothills of the outer Himalayas. Situated at an altitude of 1,938 metres (6,358 feet) above sea level, Nainital is set in a valley containing a pear-shaped lake, approximately two miles in circumference, and surrounded by mountains, of which the highest are Naina (2,615 m (8,579 ft)) on the north, Deopatha (2,438 m (7,999 ft)) on the west, and Ayarpatha (2,278 m (7,474 ft) on the south. Dinner and overnight stay will be provided at the hotel. Have breakfast and then go out for local sightseeing at the tourist spots like Naukuchiatal, Sataal and Bhimtal.Dinner and overnight stay at hotel. Breakfast will be followed by a trip to Kausani enroute Ranikhet visiting Chaubatia, Kalika and Upat in Ranikhet. Kausani is the place situated in the Bageshwar district of the Uttarakhand state of India.Kausani is the Himalayan tourist destination, which is 117 kms from Nainital, the altitude of this place is about 1890 mts. This place offers an excellent 350 km view of the Himalayan peaks like Trisul, Nanda Devi and Panchchuli. There are very few places in the Himalayas which can compare with the beauty of Kausani - A picturesque hill station famous for its scenic beauty and its spectacular 300 km-wide panoramic view of the Himalayas. 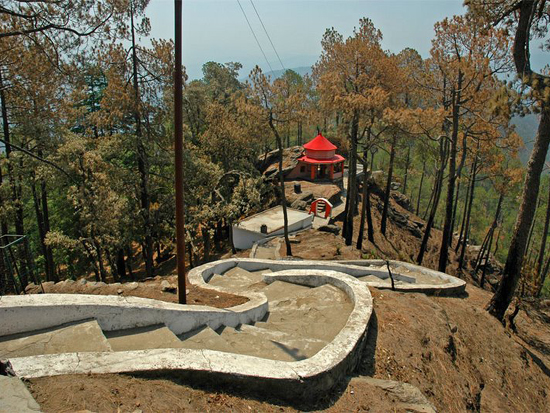 Kausani lies on the atop the ridge admist dense Pine trees overlooking Someshwar valley on one side and Garur and Baijnath Katyuri valley on the other on Almora-Bageshwar-Didihat Highway. Mahatma Gandhi called this place the 'Switzerland of India', due to similarity in landscape. Dinner and overnight stay at shall be provided at a hotel in Kausani. 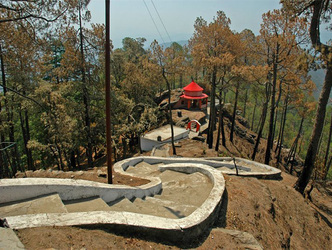 The fourth day shall be booked for local sightseeing and leisure activity at Kausani. A journey to Almora will begin after breakfast. 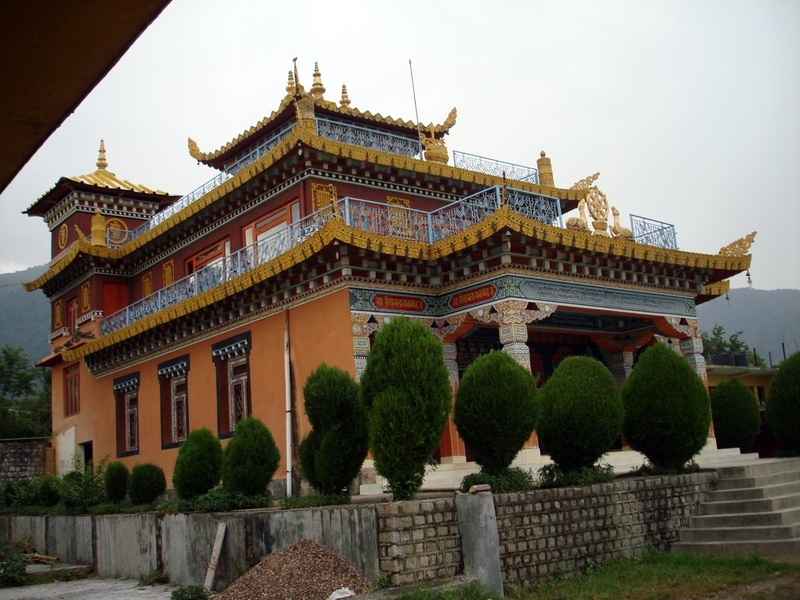 It is a cantonment town in Almora district in the state of Uttarakhand, India, founded in 1568 .Almora is located at an altitude of 1638 meters (5,500 feet), on a ridge at the southern edge of the Kumaon Hills of the Himalaya range. It is a horse saddle shaped hillock, which is surrounded by thick forests of pine and fur trees, flowing alongside the city are rivers of Koshi(Kaushiki) and Suyal(salmale) and to top it all are the snow capped Himalayas in the background. 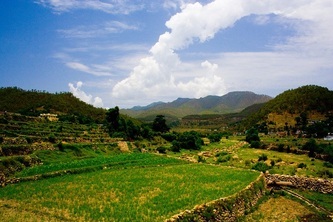 Almora is a town bustling with activity, and has a rich cultural heritage and history. It is considered the cultural heart of the Kumaon region of Uttarakhand.Dinner and overnight stay shall be provided at Almora. After breakfast, back to Delhi (380 kms/7 hours). Lunch, Entry ticket , telephone, laundry,safari charges or anything which is not mentioned above.